3 Reasons Your Business Needs A Budget. Now! For many, the word “budget” is about as appealing as that dreaded word “diet”. Many people seem to think it means what you will go without, rather than what you’ll achieve. However, for a successful business owner, the word “budget” has a very different meaning! It’s more like a map than a diet. 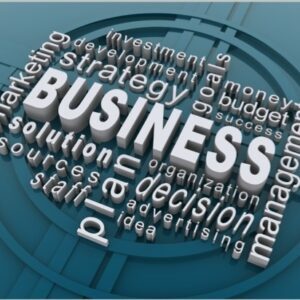 It’s an outline of where you want to take your business. It’s what you need to achieve to get there. In our house at the moment, we’re enjoying re-watching Star Trek: The Next Generation with the kids. (It’s their first time watching). In your business, you may not be going boldly where no-one has gone before, but you are certainly charting unexplored regions of “space” (ie. the business world). So, running a business without a budget would be like a Starship Captain setting off on a voyage without a map, or any idea where he’s going. Sounds ridiculous, right? Would you do that? Yet, this is what many business owners do. If you’re not satisfied with how your business is performing, unless you set clear goals for where you want to take it, it’s probably as good as it is ever going to get. At best, it will just drift along, subject to the whims of the economy and general market conditions. But your business doesn’t need to just drift along. The first step in charting a clear course for growing and developing your business is objectively measuring where it’s at right now. And your numbers do tell a story. A factual look at the numbers that describe where your business is right now takes away all the subjectivity, opinions and “reasons” (read: excuses, disguised as reasons). This is the naked truth. In fact, it is like standing on the scales naked, looking at yourself in a full length mirror. That may or may not be a scary sight! • Are you happy with that profit? • What do you want those figures to look like? Answer those questions, and you’ve just described where you want to be. Hooray! You have charted your course, which is the first step to maximising your success. As you well know, sales don’t just magically happen. Costs don’t drop just because you want them to. Sales and costs are a result of other underlying factors. Put another way, they are symptoms of causes. The business budgeting process quantifies the symptoms, and by asking a series of “What leads to this number?” questions, it also identifies the underlying causes. • where your marketing is targeted. So in reality what came first was not the sale or the cost, but their underlying drivers. The budgeting process forces you to name and to quantify these. That’s one of the most valuable aspects of preparing your budget. 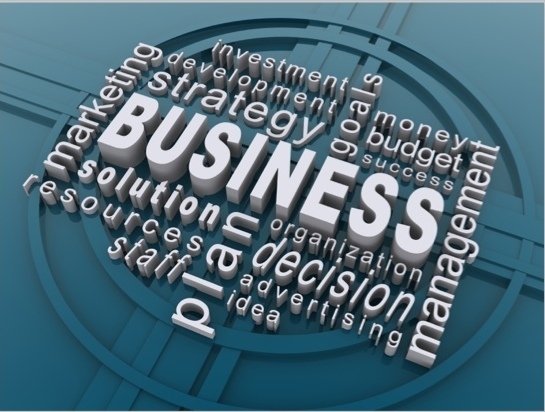 Not the budget itself, but identifying your business’ drivers. Because then you can focus on improving them! It’s much more fun to be creating the history. And that is exactly what you are doing in your own business. You are captain of your own Starship, and you can navigate it in any direction you want. You are in control. You can enjoy how effectively the budgeting and planning process will get you crystal clear on your direction. For example, your budget won’t just give you a monthly sales target, it will help you quantify those drivers that will produce the result. • Driver 3: Each customer buying an average of $300 worth of products. • Have the 25 calls been made today? • If not, why not? Is the target realistic? • Does the team need training? • Do they need better tools? • Or just more focus? • Or guidance on what their task priorities should be? • Or a combination of these? • Are we being effective and converting 80% of the calls? • Again, if not, why not? As you can see, the power of the budget is in the process of preparing it, and then the budget itself is a tool to hold you accountable to the measurable drivers you’ve chosen. We work with a number of clients where we provide budgeting and cashflow help on either a monthly or quarterly basis so you can look at the hard questions about the drivers and the results in your business. And which allows you to create a clear Action Plan to improve your results. You can check out our fixed-fee packages, or contact us to chat more about your needs.